One of the things parents love about the Reggio Emilia approach is the extensive documentation of children’s conversations and learning moments. 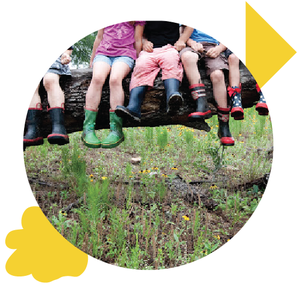 Two of the things we especially love about Tigerlily Preschool, a small Reggio-based program in South Austin, are the eloquence of Marie Catrett’s documentation and the fiercely loving ways she teaches social justice. Here’s a recent example, with photographs courtesy of Rusk Photography. (The candle in this scene has a history, which you can read in another piece Marie contributed to this blog back in December 2013). Marie: So I was thinking we have something new that we can do at school. I was thinking we could start a new thing that we do sometimes. I: Yeah, like our president. [In my classroom, we make time to talk together about the things that are on the children’s minds, and since the election I’ve been urging parents to find a way to talk to their little ones. I think it is very scary for children to sense huge feelings and not know why. Even if you think you’re hiding it from them, I promise you they sense it. In my community, the sense of devastation has been huge. Marie: So, there are a lot of grownups having all kinds of big feelings today. . . . This is a grownup problem that the grownups will figure out; it's not a kid problem, but I want you to know about it if people around you are having a hard time. I think we should try extra hard to take care of people who are hurting. That's my plan. Four-year-old: When I feel sad, I snuggle with my friends. Marie: Oh, that's a great way to help. Would you like a hug? Marie: We're getting told that we will be nice to some people, but not nice to all the people. That some people can come be in our country, but then no to some other people. And I think that is a big mistake. I think that our country needs to be for everybody. Just like at Tigerlily where all the things are for all the people. I think grownups need that, too. All the things for all the people. So, yesterday was a special day for the Muslim people to come to the Capitol and because some people have been saying mean things, they said, “Hey, everybody, if you would like to come be helpers and stand up together and say we think this should be for everybody, come on in, let’s all get together and stand together so that everyone who wants to come can feel safe to be here.” And people said, “Hmmm, I could do that, I could help. . . . ” and I want to tell you, as I’m lighting this candle, that they thought that maybe about 70 people would come and be helpers for the Muslim day. But guess how many people came? It was more than 70 people. W: A lot of people! Marie: A lot of people. A thousand people came to be helpers to make it good-feeling and safe for everyone. So that’s so exciting. That’s a lot of people. And you know what, you know some of the grownups that went to be helpers at the Capitol. Josh is one of the people that went, and Carrie, I’s mama, is a person that went there. And you might even know more people that went to go and be helpers! J: Yeah, I didn’t go to that yesterday. Marie: Mmmm, yes, I would like to go and be a helper, but I was here teaching and being with all of you, which is really important too. And there will be more days for helpers to come do good things in our world. So I think we’ll do this at Tigerlily sometimes. If we notice a story about people in the world being really good helpers to each other, I think we could have a time at Tigerlily where we light a candle and we talk about the good helping that we’re seeing. I thought that was sounding like a good thing we could start doing. We lit the special candle and I can show you some pictures of the helpers at the Capitol yesterday. Because I think their helping was very beautiful. L: So it can shine. Marie: So it can shine. Here are some pictures of some really good helping. There were so many people! These are grownups, these are men and women that live in our city, who came together, there were so many of them and they stood so close together they made a wall of people and they linked their arms to be friendly with each other. So here’s one picture of the helpers making sure the Capitol would feel like a safe, friendly place for the Muslim people to come. You’ll see some Muslim people standing in the middle. See, they are wearing a kind of special scarf on their head called a hijab? And then all the helpers are around them so they can walk in and out among so many friends. I: That kind of looks like my grandpa, but a little different! W: It looks like my daddy! Marie: I am sure the people that came to help are grandpas and daddies and mommies and grandmas and brothers and sisters. Marie: The man who is wearing the red sweater is shaking people’s hands to say thank you, thank you for coming and helping us feel welcome here today. I: My mommy is a helper because she helps me feel better. Marie: Oh yes, I think mommies are helpers and daddies and grandmas and grandpas . . . I: Today I helped L feel better because I hugged her. Marie: Oh, yes, I am remembering that L came to say that the growling was scaring her and when you saw that L was scared you stopped growling and gave her a big hug to show her she was safe. I think that was beautiful. Let’s all keep looking for good helpers. The past few weeks since Election Day have posed significant and unusual challenges for educators across the country. 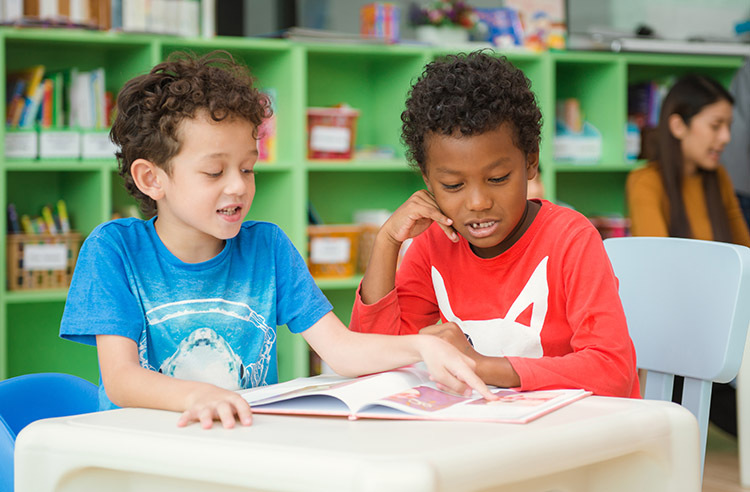 When divisions among adults are as strong as they have been during the presidential campaign, tensions, fears, and misinformation inevitably come out among kids on playgrounds and in classrooms. Ninety percent of educators report that school climate has been negatively affected, and most of them believe it will have a long-lasting impact. A full 80 percent describe heightened anxiety and concern on the part of students worried about the impact of the election on themselves and their families. We asked some members of the Alt Ed Austin community to talk about what they are seeing and hearing among their students and what kinds of constructive, positive steps they’re taking to support kids, parents, and each other. Individual and group discussions, with the goal of intellectually understanding the dynamics of the political conflicts, as well as sharing and processing a variety of emotions around the election are important to all the educators we heard from. Kristin Kim of Sansori High School says, “I encourage [students] to see beyond the layers of realities created by polarization, and be aware of when they are drawn in to reactiveness.” She wants to help them avoid repeating patterns of conflict. “We focused much more on what we could do for one another than dwelling on what we could not control,” says Antonio Buehler of Abrome. Antonio shares a detailed response on his blog, focusing on how Learners can “transcend electoral politics” and better society in myriad ways. At KọSchool, the full student body of 8th–12th graders gathered to talk about personal empowerment in times of dramatic change. Students discussed feelings of victimization across the spectrum of political viewpoints and shared their own struggles to keep open minds and not condemn those whose beliefs clashed with their own. I want you to know how much I admire the concerns you have expressed this week for your friends, classmates, and schools. And I encourage you to have these thoughtful conversations among your peers and with your teachers in the classrooms. It’s okay for you to express any concerns you may have and to find your voice and use it with conviction. Most importantly, I want to reassure you, that your school and classroom is your home and your sanctuary. It belongs to you and you are safe. Please take a look at Paul Saldaña’s letter here. You may also be interested in some resources designed for Teaching Tolerance by the SPLC. Using the hashtag #StudentsSpeak, the Teaching Tolerance program is collecting photos with a wonderful variety of heartfelt advice for President-elect Trump on their Facebook page (a sampling of which we’ve included in this post). Take a look, and see how your students can participate here.